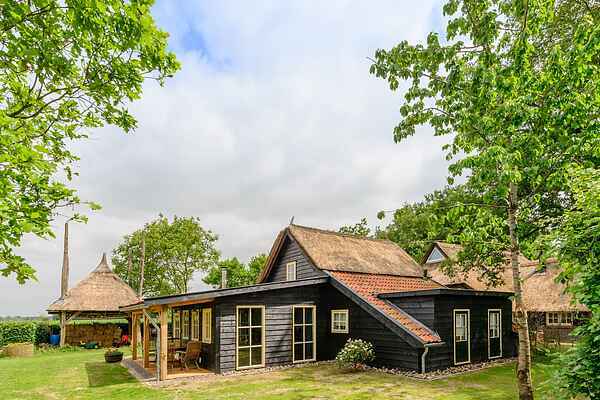 This rural and cosy holiday home called Onder De Drie Oude Eiken (Under the Three Old Oaks) is located in Reestdal in Overijssel. Enjoy the setting sun and beautiful meadow views from the veranda of this beautifully located home. There is no reason for the children to be bored. With a trampoline, a go-cart, a tree swing and a hammock they can also enjoy a wonderful holiday.